Holt Public Schools says it's planning an investigation and remedial action, after at least one victim of former USA Gymnastics and Michigan State University sports doctor Larry Nassar says she was assaulted on Holt school property. Abigail Mealy says she started seeing Nassar for treatment after an injury left her with severe back pain. She was among more than 150 women and girls who addressed Nassar during his week-long sentencing hearing. "I remember being excited that I was going to get to see you. I was excited that I was going to get to see Larry Nassar because it was a privilege. Can you believe that? It was a privilege to see a child molester,” she said. 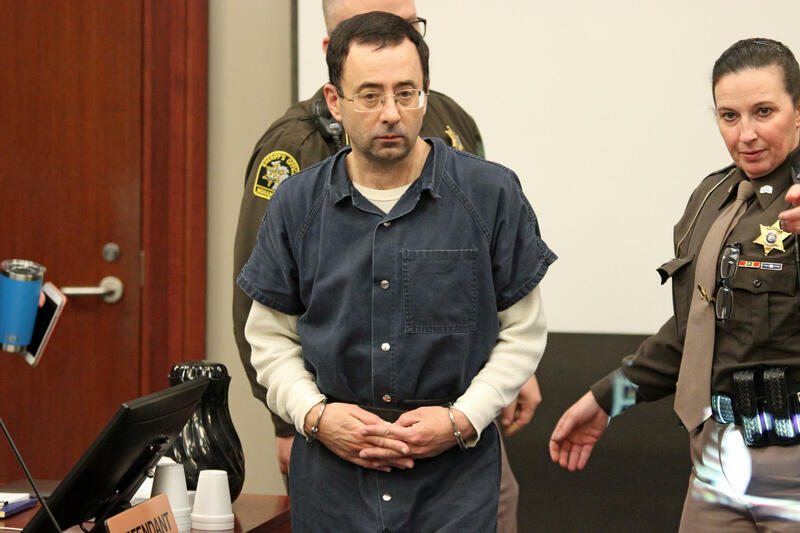 Nassar was a trainer and doctor for Holt High School athletes through a contract the district had with the Michigan State University Health Team. Mealy says she worked with Nassar as a student trainer and was also treated by him at Holt High School football games and in the Holt training room on a regular basis. "But now, because of the bravery of the women that have refused to be silenced, for the past who knows how many years, I can finally see past your brainwashing. You are an abuser of the absolute worst kind," Mealy said. Holt Public Schools prohibits sexual violence and misconduct. We abhor the acts that have been reported. Now aware of these allegations, we are in the process of identifying next steps to investigate and take appropriate remedial action. Our initial reactions are shock and disgust for the reprehensible acts involving minor students who placed their complete trust in a medical doctor, whom they expected had their best interest at heart. In the next several days, we will reach out to the former students who have made these reports and offer resources and support to them. Nassar was sentenced Wednesday to between 40 to 175 years in prison. "You will have the rest of your life to rot in prison and think about the hundreds of lives you tried to ruin. But remember this Larry, you have tried and you have failed," Mealy said.